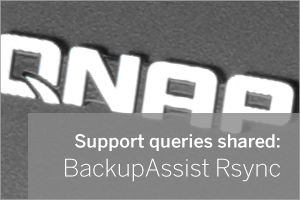 If you’re not already familiar with Rsync, it’s the method (or ‘protocol’ to be posh about it) that BackupAssist uses to send data off-site to locations such as NAS boxes or to other servers. …cue helpful (hopefully) blog post! 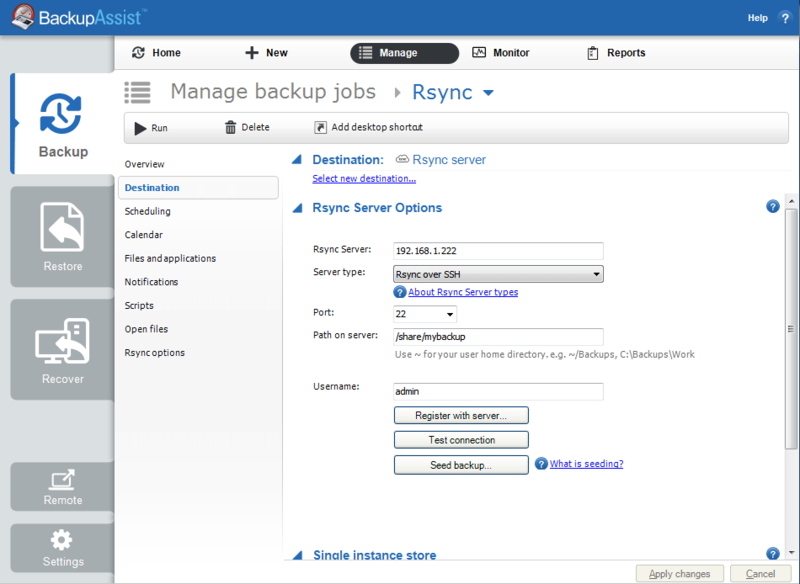 The customer I was talking too had gone through the setup steps correctly – creating a share called ‘mybackup’, and then configuring Rsync to work with the destination ‘mybackup’ as show below. The QNAP is based on a linux O/S which meant I could use Putty (can’t recommend enough!) to connect as an Admin user and therefore simulate the connection BackupAssist would be making. I used the pwd (print working directory) command to show me the directory I was in and just as I suspected, the Admin account was actually an alias for the Linux root user and so the home folder is actually /root in the QNAP. I did a quick ‘ls’ command and low and behold, there was the newly created ‘mybackup’folder that BackupAssist is trying to use as the destination. Via Putty I changed back to the root folder of the NAS using ‘cd\’ and ran another ‘ls’ command. From the root folder I could see a share folder and within this , the mybackup folder I want to back up to. 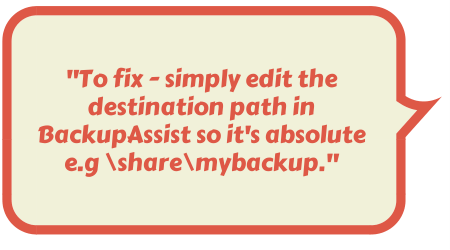 To get this sorted, all you need to do is go back to BackupAssist and edit the destination path in BackupAssist so it’s absolut. In this case it would be \share\mybackup. Make sure to kill the chicken before eating it! Oh wait, wrong blog – what I meant to say is, the moral of THIS story is that if you’re using a NAS, be careful to prefix the destination folder name with ‘\share\’ and all should be well. You don’t actually need to use Putty like I did, as long as you’re making sure you’re specifying the full folder path you wont have any stray folders. Hope that saves you some time! ← New: MDaemon 14 – The Exchange alternative is now even better!